This blog article demonstrates how to get started with App Engine’s Cloud Endpoints Framwork v2.0 in Android Studio and details configuration necessary for migration from version 1.0 of App Engine Cloud Endpoints. This tutorial assumes you have already built and deployed Android 6.0.1 for the Wandboard on an SD-card, according to our preceeding blog post in this series. For quick reference, we are using the Android source 6.0.1 for the Wandboard from the official website. The source code is assumed to be extracted to /opt/android/wand, and our host system is Ubuntu 16.04. Android system development on an SD-card can be quite cumbersome. Even though there is the possibility of pushing and pulling files via Android Debug Bridge (ADB) between the target device and the host computer, more often than not, you still need to replace the contents of the SD-card manually. In the following, we will show you how you can boot the Linux kernel via TFTP and the Android operating system over NFS. 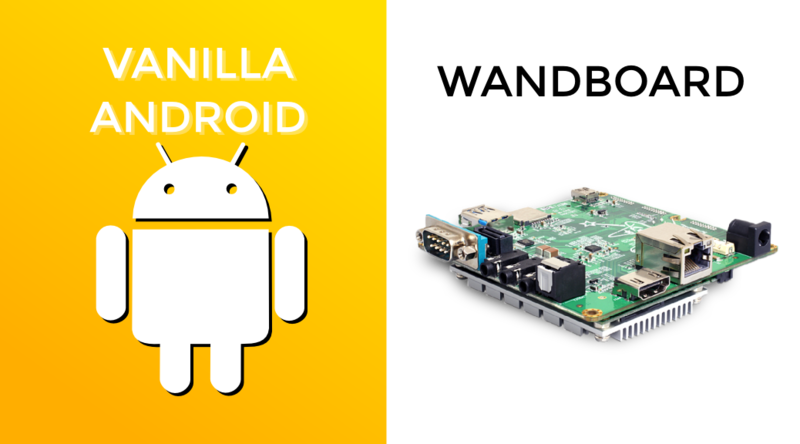 While our guide of how to build deploy vanilla AOSP on the Wandboard has helped many to understand more about the Android and Linux build tools, it is often required for applications to have hardware graphics acceleration. In this post we are going to get an overview of unit testing in Android with a few practical examples. Unfortunately, testing in Android has some pitfalls, which we will try to uncover in this tutorial. A lot of the confusion stems from the fact that Android testing has undergone major development changes in the recent past, and therefore there are various – and sometimes – conflicting resources online, which may be depreciated in the mean time. Before we delve deeper, let’s create a new Android project. 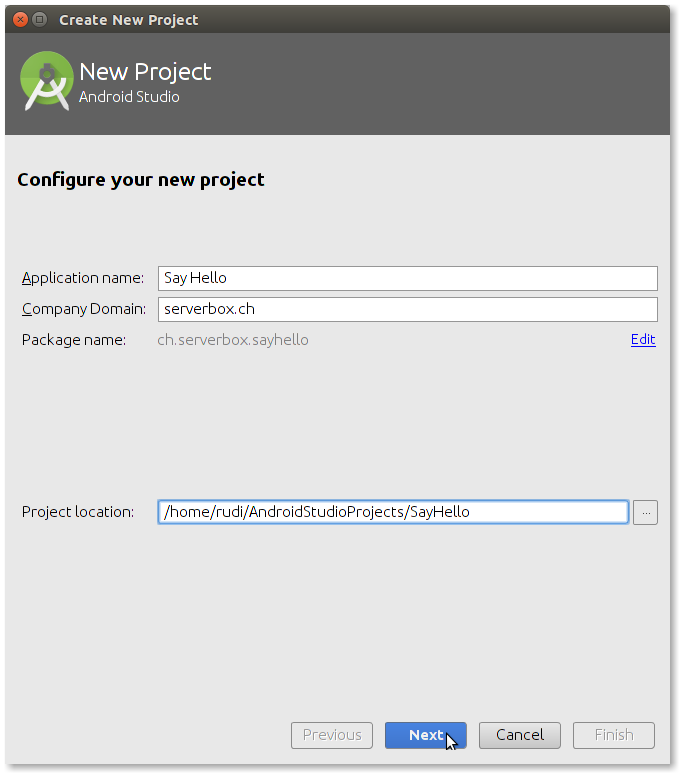 We are using preview version 4 of Android Studio 2.0, which can be downloaded from here. 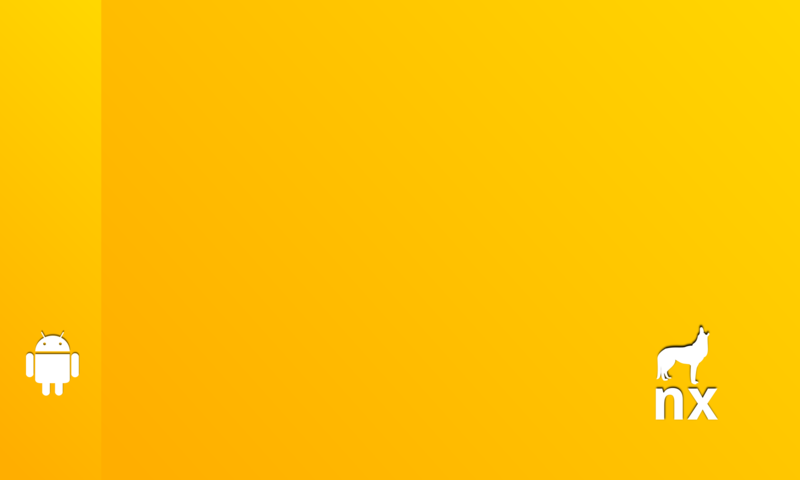 Start by creating a new project “Say Hello” with a Blank Activity. In this post we are going to build and deploy Android Kitkat for the Wandboard Quad. The instructions are mostly identical for the Wandboard Dual, although you will need a different u-boot bootloader configuration, and a different dtb file. With the current Android 4.4.4 build we are able to use ethernet, wifi in client and AP mode, as well as ALSA sound. Bluetooth and hardware accelerated graphics is not yet accomplished. It is important to use a 64 Bit version, otherwise, it is not possible to build Android. We will also download and patch as per instructions provided by Robert Nelson. Unless your computer has a serial port of course. We recommend at least class 10, it really makes a big difference. A size of 2GB should be enough. For this tutorial, we will have 3 main source code repositories, namely Android, u-boot and Linux kernel sources. It is assumed that we download the Android source code, and place the u-boot and Kernel sources in their respective sub-folders “u-boot” and “armv7-multiplatform” inside the Android source‘s root. While the exact location does not matter, we will use /opt/android as an example here. Since we are going to use a cross-compiler from Android for building the bootloader, it makes sense to first download all the source code repositories before starting with this tutorial.